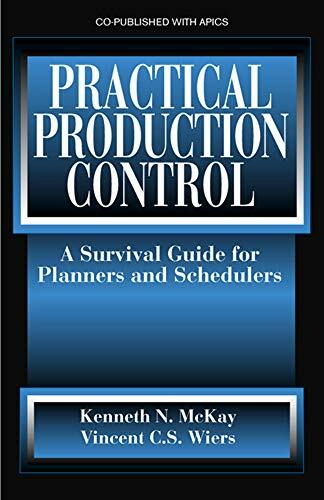 Clearly defining the challenges of daily production control, Practical Production Control: A Survival Guide for Planners and Schedulers is a soup-to-nuts, practical guide and desk reference that gives you the skill set required to meet today's real-world challenges. It explains how the scheduling task can be decomposed and organized; how the production control department can be structured; how to hire, train, and evaluate schedulers; how scheduling changes with the life cycle of the product and processes within the plant; and how software tools can be used to augment the scheduler's skill. جميع الأوقات بتوقيت جرينتش+4. هذه الصفحة أنشئت 08:18 AM.